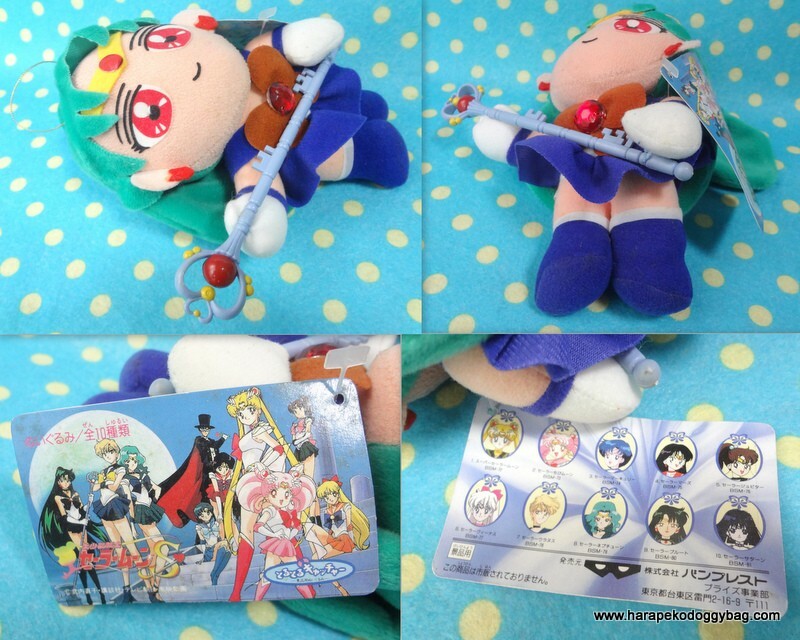 japanese anime, sailor moon, sailormoon, sailor pluto, bandai, plush, toy, 1995. PLEASE NOTE BEFORE PURCHASING: THERE IS LIGHT WEAR FROM HANDLING. AND AS THE ITEM IS OLD, THERE MAY BE SLIGHT AGING. ALSO, THE THREAD THAT HOLDS THE LEFT HAND TO THE WEAPON HAS COME OFF. Here is a Sailor Saturn soft plush toy released by Banpresto in 1995. The accessories are made of plastic. Keywords: japanese anime, sailor moon, sailormoon, sailor pluto, bandai, plush, toy, 1995.